Need bad credit help? Want to pay off your credit card or loans quickly? The auto title loan specialists from Tio Rico can help you get out of debt quickly and on your own. Just follow these simple steps to smart financing so you can move on with your life and stop worrying about money right now! 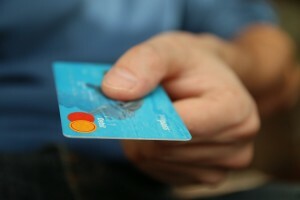 First and foremost, you need to recognize the necessary steps to control your debt. You need to commit to permanently changing and stopping any behaviors that got you into debt in the first place. Confront your debt head-on. This may be obvious, but you also need to be able to make and save enough money in order to repay the debt. This takes time as you know, money doesn’t grow on trees. In order to do this, you may need to minimize your purchases and live a little less luxuriously. Don’t be afraid of your own finances. Give yourself a reality check and learn that you may be in financial trouble and accept it. Although it may be hard to see, you should tally up all your debt including credit card loans, auto loans, student loans, personal loans, or whatever else you may have. Next, figure out what the interest rates on each loan are. Now that you have your total, calculate your debt ratio in comparison to your annual income. Your debt ratio is easy to calculate. Just divide your total debt by your annual income. There’s a lot of viable reasons why you may be in debt– and they’re probably very common as well. These reasons could be having gone to college, losing your job, medical bills, or just frivolous spending. In the long run, why you got into debt doesn’t really matter. What does matter is that you need to manage debt better. Once you know you can afford it, you should look into getting health insurance, setting up an emergency fund, or getting that master’s degree. Motivation is half the battle, but if you’ve read this far you’re already in good shape. Learn how to live your life by spending less than what you earn rather than by spending more than what you earn. You may want to look into obtaining a second or seasonal job. Do you live in a touristy location? There’s a lot of money in tourism. Do you live near any hot nightlife locations? Bartending or serving can make you a lot of money, sometimes non-taxed and immediate. Do you have a crafting hobby? Consider opening up an online shop to sell your product. If you put your mind to it and have the patience, you can pay off your debt. Some other ideas to make some money include cleaning out your home and selling some things, working harder to finally get that raise, or moving somewhere you know you can land a higher paying job. Admitting you need help will only get you one step closer to achieving your goal of being debt-free. Although doing it on your own will save you money, sometimes you just can’t do it and need some help. That’s where a credit counselor or debt management firm may come into play. However, if you decide to go down this route you need to be careful as a lot of “debt management” companies are only a scam for you to rake up even more debt. Do your research. The National Foundation for Credit Counseling is a non-profit organization of credit counselors that can help direct you to somebody reputable in your area that can help you make a plan to get out of debt at a monthly basis fee. So what’s next? Take action. Getting yourself out of debt is a long process that requires a lot of time and patience. It doesn’t just happen overnight, but, like anything, if you start today you will be one day closer to achieving your goals. How are you going to get started? Let us know in the comments below. And as always, Tio Rico is here for you for any bad credit help or auto title loans when you need cash fast. Visit your nearest location today or give us a call at 602-322-1010!